Do you know what signs to look for when your puppy needs to potty? 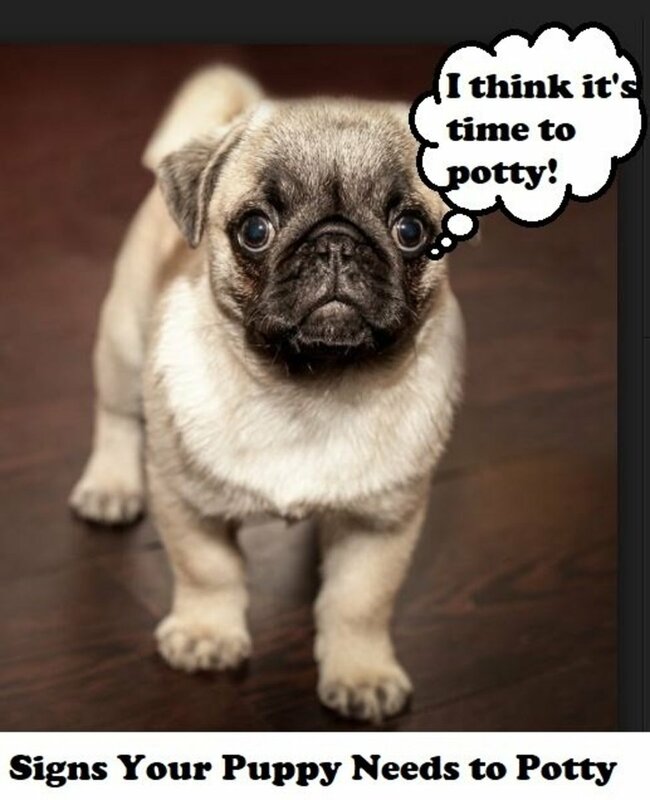 Do you know what signs indicate that your puppy needs to potty? New puppy owners need to learn the stages of a dog's development in order to make a successful potty training plan. If an owner fails to understand these developmental stages, they might find life with their puppy frustrating and may even regret getting a puppy in the first place. Don't let this happen to you. 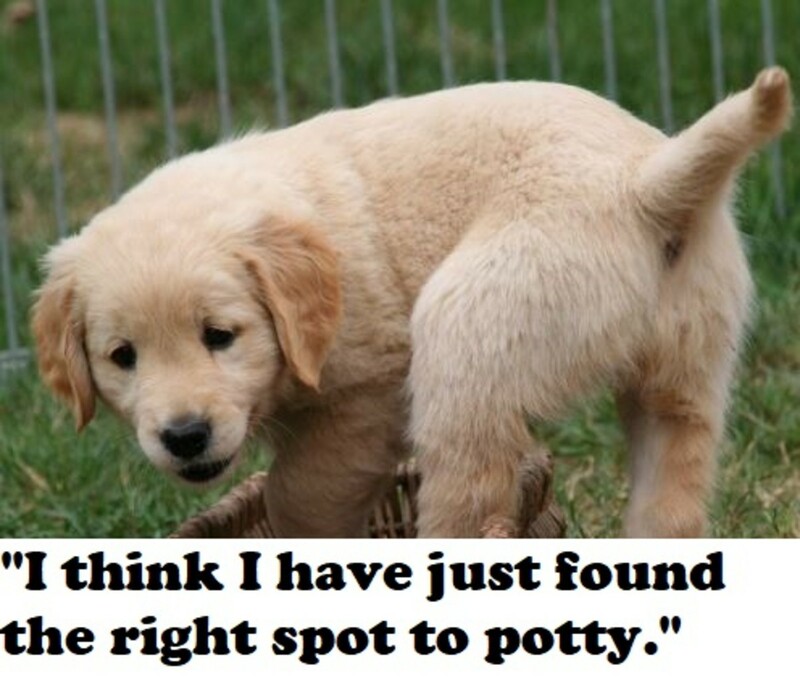 Potty training a puppy is one of the most frustrating experiences owners may endure. Shelter workers know very well how often puppies and dogs are relinquished because they have a history of eliminating in the house despite the owner's best efforts. If this is the first time you own a dog, it might be tricky to read puppy behavior. You need to, therefore, carefully observe your puppy in order to understand when he or she needs to go potty outside. While some puppies may be quite direct in alerting you when they have to pee or poop, others may be very subtle. Generally, the older the puppy is, the easier it is to recognize these signs. 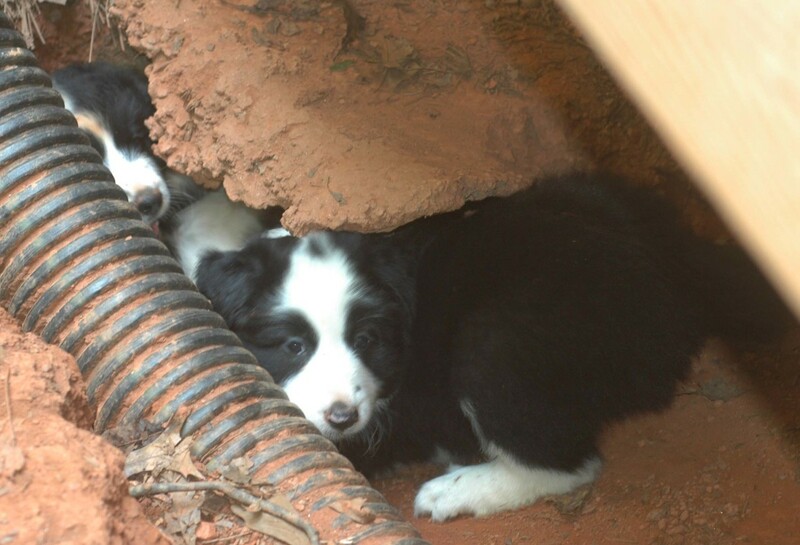 Young puppies may not be able to indicate that they have to potty in a timely manner. Successful potty training requires knowing several secrets about the puppy potty training process. 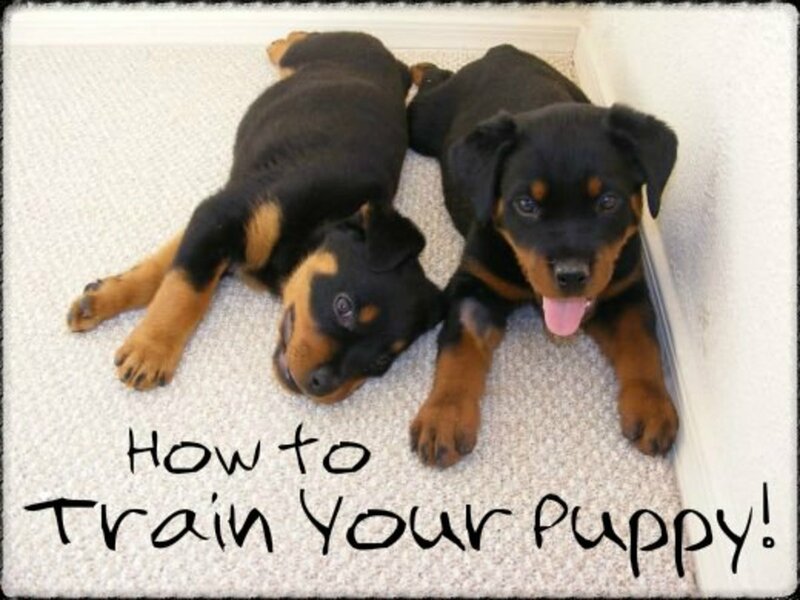 Puppies will abruptly stop an activity when they feel the urge to go. One of the very first indications that your dog needs to potty involves a shift in attention. The affected puppy or dog may stop in his tracks. He may be playing with a ball and then suddenly move away, or he may be chewing on a toy and suddenly get up and walk to a corner or a specific area of the house. Puppies have short attention spans, so this might not be easy to catch all of the time. Is your puppy getting up because something caught his attention or does he need to potty? Carefully observing your puppy over time may help to tell the difference. Many puppies will appear restless when they have a strong urge to potty. 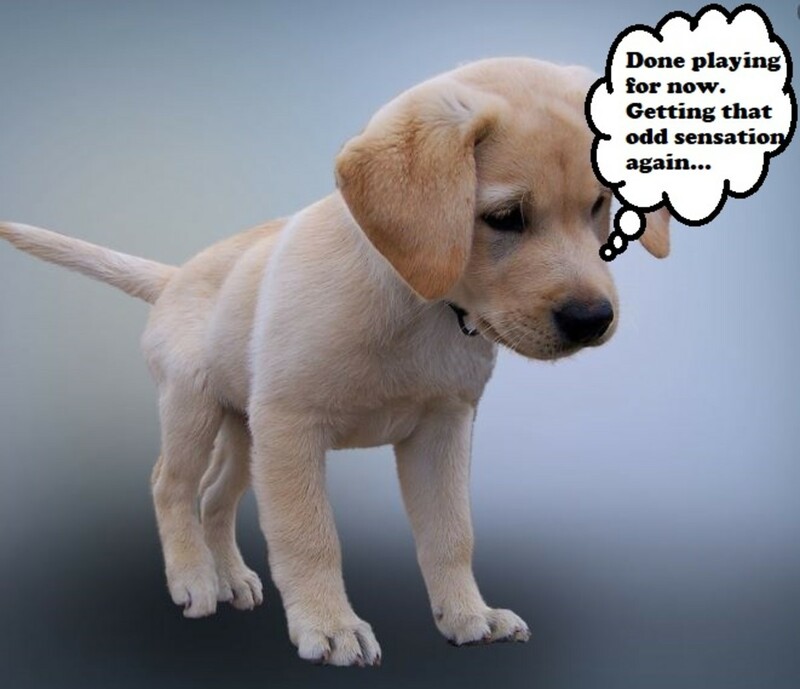 If the restlessness is not stimulated by something happening within or outside of the house, then your puppy could be telling you that he needs to go. When you notice this change of behavior, take him out immediately. It is always important to praise him and give him a treat if he pees or poops outside. Restrict your puppy to a small area near the door and don't give him full access to the whole house. A home can feel very big to a puppy, and he can get lost or fail to make it to the door because of the time it takes to get there. As he develops, gradually give him access to more areas of the house. Puppies will be triggered to potty if they detect a potty scent. Is Your Puppy Sniffing the Ground? Sniffing is one of the first signs that a puppy needs to be let out to potty. Your puppy will start to sniff the floor to search for an area to pee or poop. Sniffing may happen inside the house if your puppy has previously soiled in a given area. With a powerful sniffer, dogs can find previously soiled areas which inform them where the "bathroom area" is located. This can happen if you fail to clean a soiled area effectively by using the wrong product. Avoid Ammonia-Based Products: If you used an ammonia-based product to clean, you may actually amplify the "bathroom smell" because pee contains ammonia. Cleaning puppy pee accidents using ammonia-based products, therefore, will only attract your puppy to potty in the same exact spot. Big fail. Use Enzyme-Based Products: The best cleaning products to clean puppy accidents are enzyme-based. As the name implies, these products contain enzymes which "eat" the odor-causing bacteria and eliminate the smell. 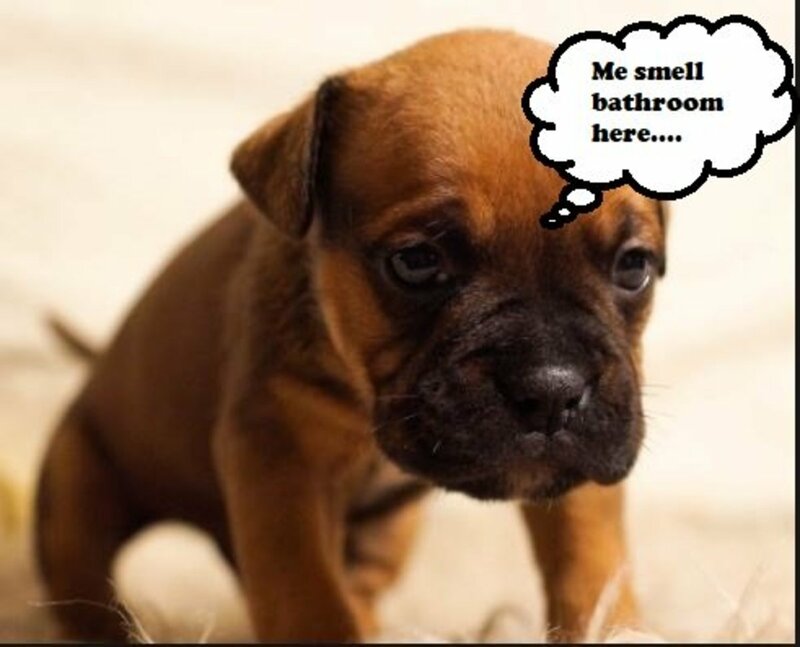 With the odor neutralized, puppies or dogs may be less compelled to return to the "bathroom" area. 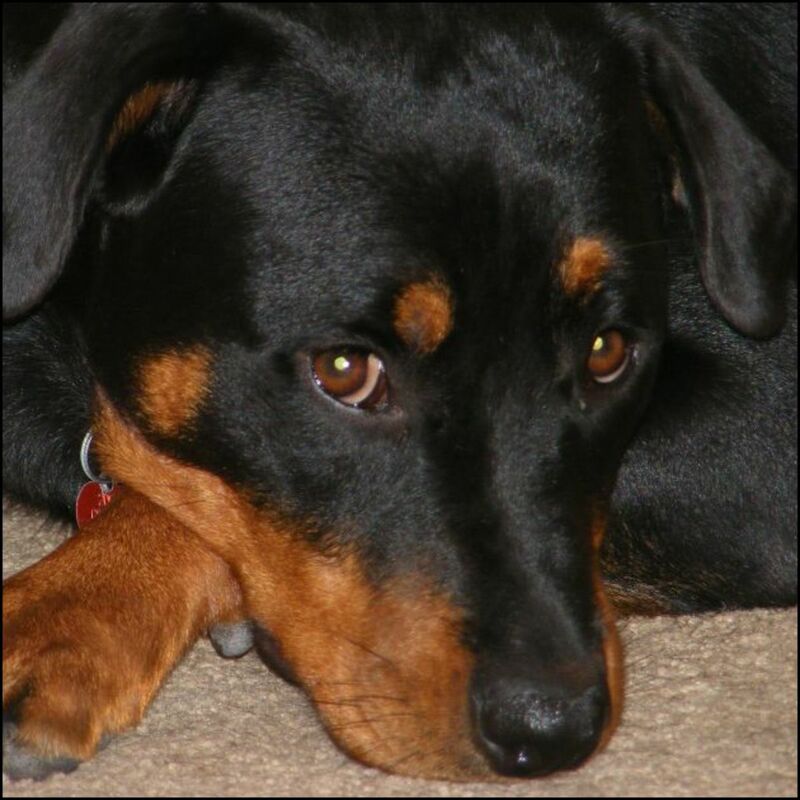 Prevent Access to Hot Spots: If you do not have a good enzyme-based product on hand and your puppy keeps eliminating in the same spot, you are better off preventing access to that area by making a barrier or placing a large object on top. This way, you can prevent him from making the same mistake. Praise Your Puppy: Do not forget to praise your puppy and reward him with a treat once he eliminates outdoors. The praise and treats will reinforce the desired behavior. Wait to reward him until he has finished the deed. A dog's superior sense of smell can be your ally. Use the paper or towel you used to blot a soiled area (or gather a poop sample) and place it outdoors near the area you want your dog to potty. This may help your dog to get a better idea of where the real "bathroom" is. Use odor to your advantage. Place a stool sample in the area of your yard that you would like your puppy to use for pottying. Dogs Eliminate on Grass: One theory is that dogs circle because they eliminate on grass. The circling, therefore, helps dogs pat down the grass with their feet so that stool does not adhere to the grass and stick to their fur. At the same time, circling can leave visual marks on the grass and may inform other dogs that "I was here." Stomping may also scare off snakes or critters potentially hiding in the grass. Alignment With the Earth's Magnetic Field: A more recent theory comes from a research study on what influences a dog's urge to potty. This theory suggests that dogs have a tendency to align themselves with the Earth’s magnetic field prior to pooping. Researchers spent two years gathering hard data in Germany and the Czech Republic. After evaluating hundreds of dogs doing their business and evaluating whether wind, time of day, and the angle of the sun played a role in pooping, researchers concluded that the only verifiable factor that influenced a dog's pottying behavior was the Earth’s magnetic field. Regardless of the underlying motive triggering your dog to circle, one thing is for sure . . . be quick to take him outside when he starts to spin in circles. Always remember to give praise and provide a treat when he is done pooping outside. 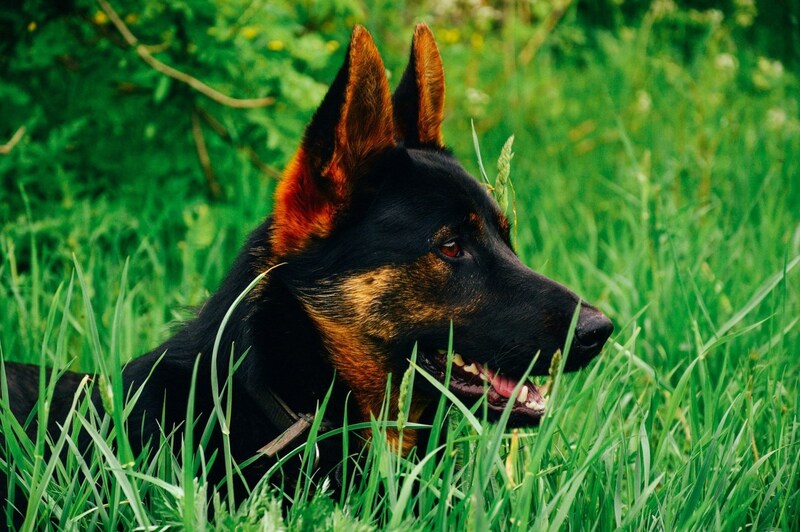 Remember: You are training your dog to use the right location to go potty! Dogs are thought to align with the Earth's magnetic field while pooping. We all wished our puppies could talk and tell us, "I need to potty!" Well, here's the good news: many do! When your dog starts crying, don’t get annoyed or angry. Whining could be one of the signs a puppy needs to be let out. While whining may communicate several things, your puppy most likely has to potty if it's coupled with several of the signs mentioned above. 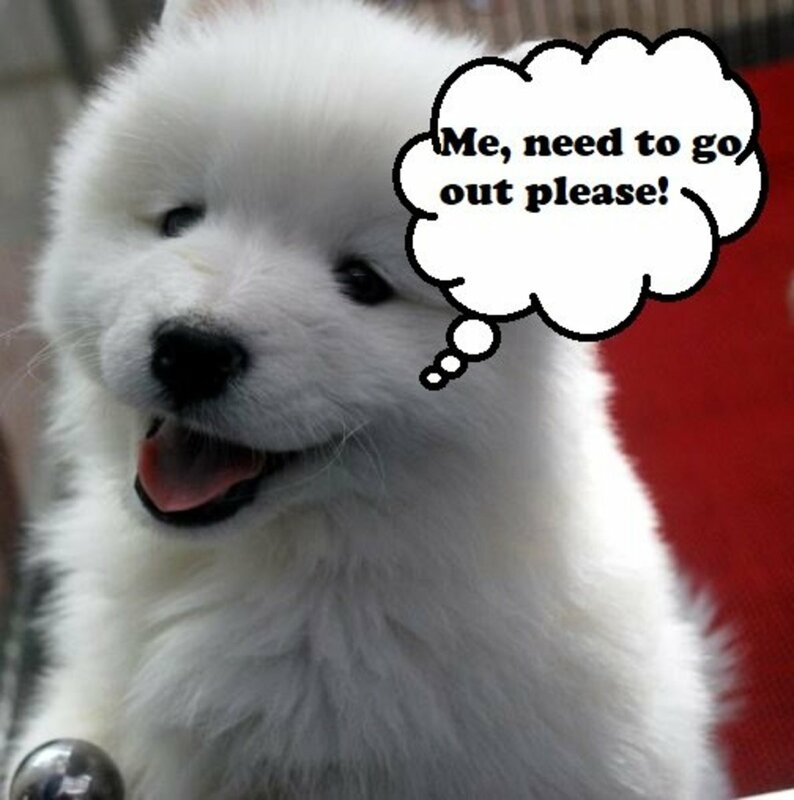 Puppies that are early in the housebreaking process are unlikely to be able to indicate that they need to go out. This is because they have little bladder and bowel control to start with. Whining is, therefore, a good sign that things are progressing. Your puppy is learning to associate the outdoors with pottying. Cherish this form of whining with attention. Rush to the door saying "outside?" and open the door to accompany your puppy out. 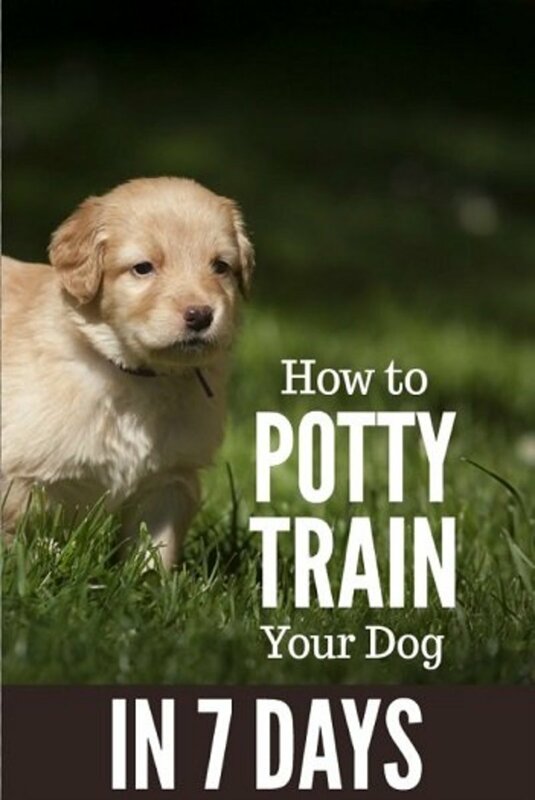 You can take advantage of this opportunity to teach your puppy to go potty on command. 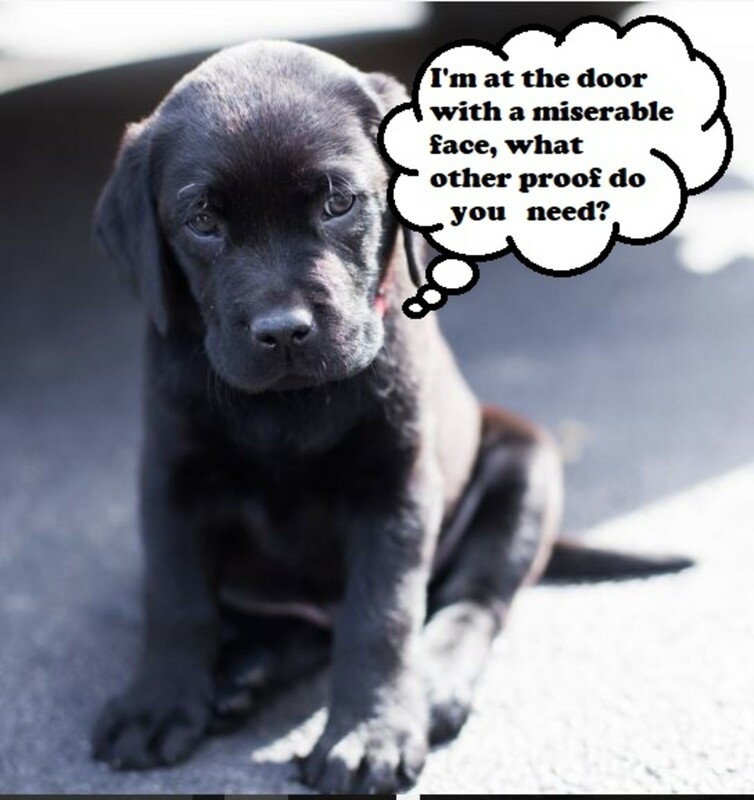 Does Your Puppy Go to the Door? When your puppy goes to the door and starts barking, standing, or even scratching at the door, these are classic tell-tale signs he needs to be let out. If your dog exhibits this behavior, excellent—your dog is showing you that he is good at house-training! Scratching at the door or pawing at it tells you that you should immediately take him out. Sometimes, he will even bark at the door. Reinforce this behavior by saying "outside?" and opening the door. The fact he is going out and emptying his bladder or bowels is already a form of reinforcement (it feels good to relieve the urge). Keep on praising and rewarding your puppy for going out per usual. Going to the door or barking by the door could also mean that there is something or someone outside, or perhaps your puppy simply wants to go out to explore or play. How can you differentiate a puppy who really needs to potty from one that just wants to have fun? You often can't. If he went potty recently, that's proof that he just wants to go out for some fun. Give him the benefit of doubt. Take him out, and if he does potty, praise and reward him. If he doesn't go potty in a reasonable amount of time, go back inside. Puppies will start to associate the outside with pottying and may indicate the need to go by sitting by the door. Never Scold: Never scold your puppy for having an accident in the house. Your puppy might interpret scolding as a sign that it's bad to go potty in your presence. The next thing you know, they may no longer indicate that they have to potty and may start secretly eliminating out of your view (e.g., behind a couch or under a bed). This can obviously put a big dent in the potty training process! Don't Have Unrealistic Expectations: A young puppy under 3 months of age is unlikely to have sufficient bowel and bladder control just like human babies! If a puppy can't hold it yet, he won't be capable of indicating that it's time to potty. 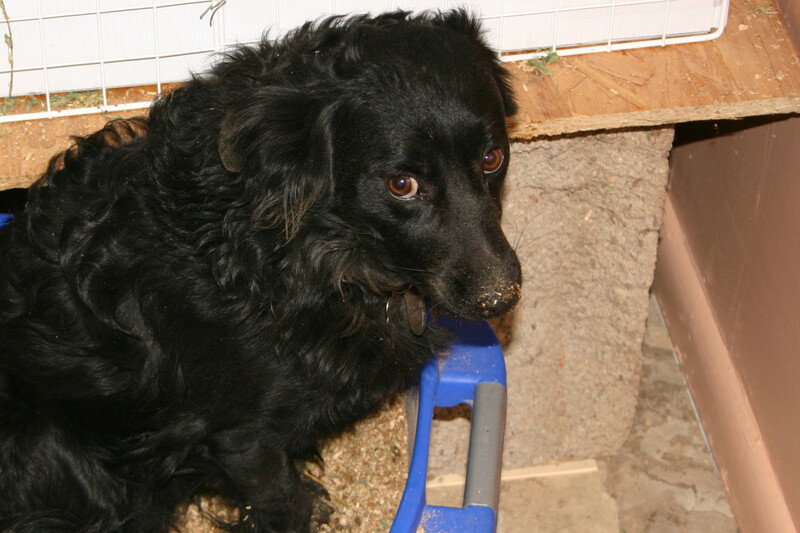 As the puppy matures, you will start noticing such signs more and more. Careful observation of your puppy's behavior is vital. The signs mentioned above are, therefore, your best ally in the potty training process. 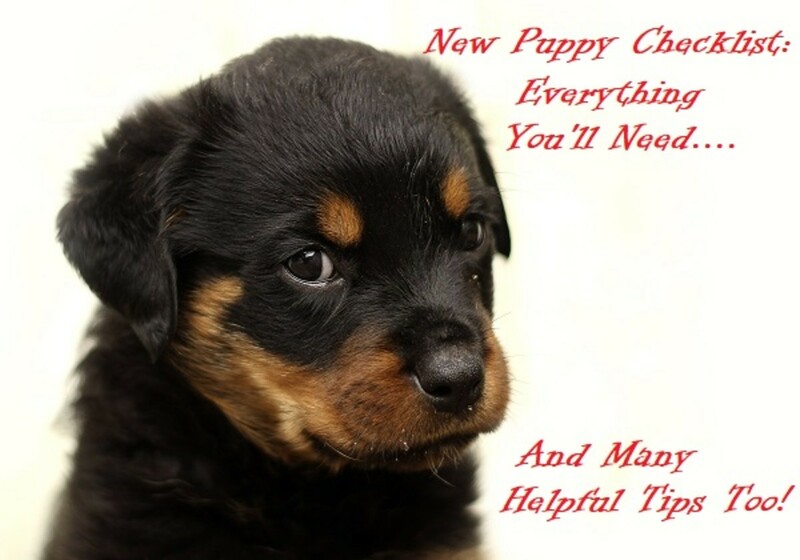 I just got a puppy he is 8 weeks old and this article was helpful for me. Glad to hear that this article on signs a puppy needs to go potty was helpful to you. Happy potty training!